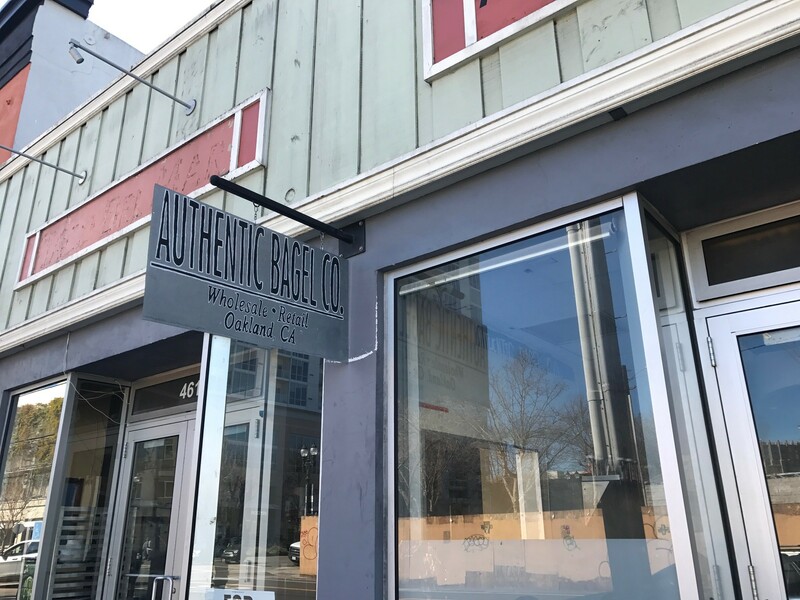 After seven years of boiling, baking, and slinging bagels, Authentic Bagel Company founder Jason Scott is taking a break. And it might be permanent. Scott launched the Oakland business with his brother Mark, but Mark left three years ago, leaving Scott the sole proprietor — and on some days, the barista, line cook, and delivery driver, too. Scott closed the Jack London district bagel shop and wholesale business earlier this month. Now, he’s reevaluating and looking for investors. Ideally, he’d find new partners to help out with management and remain the majority owner, but he’s staying open-minded. Changing Authentic Bagel into a full-fledged delicatessen is one idea to stay competitive. Another is to take the wholesale business to another city — expanding with multiple locations has always been the plan, and Scott isn’t so sure the Jack London area is the best fit. “There’s no foot traffic. No one is really around,” he said, echoing restaurant owners who have left in recent years. Construction hasn’t helped matters, nor has the arrival of a flashy Starbucks across the street. He worries a Noah’s Bagels might be next as surrounding storefronts remain empty, and that more chains will drive up rents further. “I’m not feeling that vibe,” he said. While certainly not his goal, Scott could close Authentic Bagel entirely. It’ll all depend on how meetings with potential investors pan out in the coming weeks.